Thank you to all students, staff, and community for an amazing and wonderful ten years at NGRHS. The art work that students produced will continue to inspire me! I am retired now, after teaching since 1978. I will now work on more of my own art. The email for the school should still work, if students would like to write and let me know about art projects they are working on. I will put up the last of the art show photographs sometime this summer. 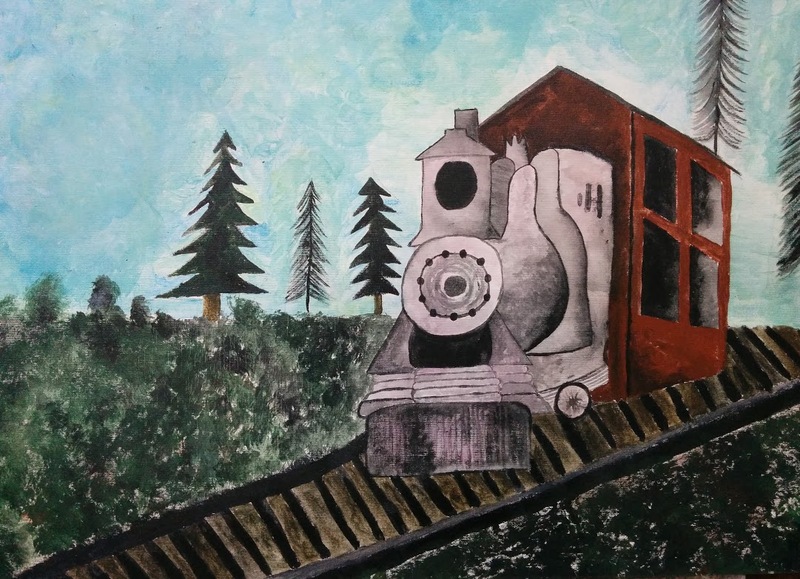 Check out the new "Train Murals" painted by Art 10. They are hanging at the New Germany Small Engine Repair. Please contact the new art teacher, Ms. Kelly Barker, with any questions about the art courses. New adventures ahead! 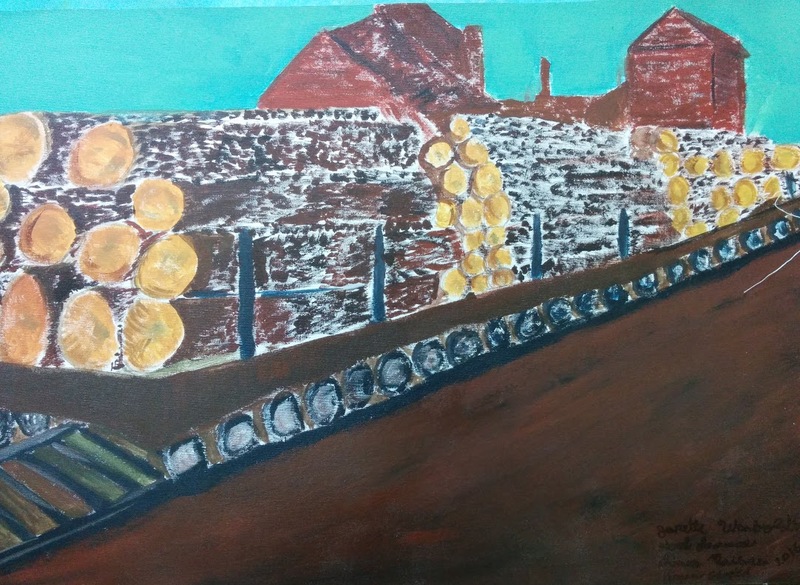 Art in school is about making powerful images about ideas and feelings and issues. We learn a lot of techniques and use many different media. 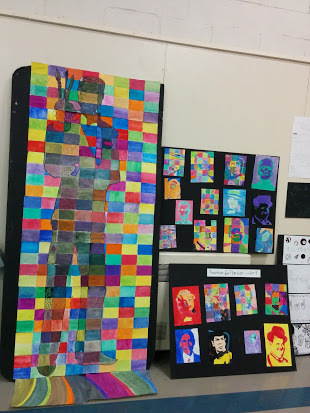 Students create personal work and they create work based on some directed themes. Art shows are important. The first audience is, of course, the artist. The next audience is the public - friends, family, and community. There are at least four major shows a year, with over 500 works on display at each show! Really amazing stuff. Here are some hints about getting around the NGHRS Art Room website. Please email djfleming@nspes.ca if you have any questions about the Communication Plans or to receive paper copies of the Curriculum Outcomes (posted for every grade on this website). Thanks! 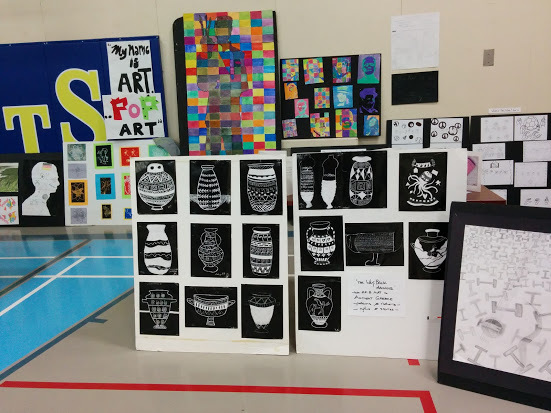 Check under each GRADE GALLERY to see an overview of the ongoing art units for that class. Each grade gallery has a link to the Curriculum Outcomes and to the Communication Plan, with the Supplies List. Some photographs, descriptions of the art units, and deadlines can all be found in the specific grade level gallery. Every grade will be updated for September 1, 2015. SPECIAL PROJECTS includes any unusual or more specialized projects we are working on. 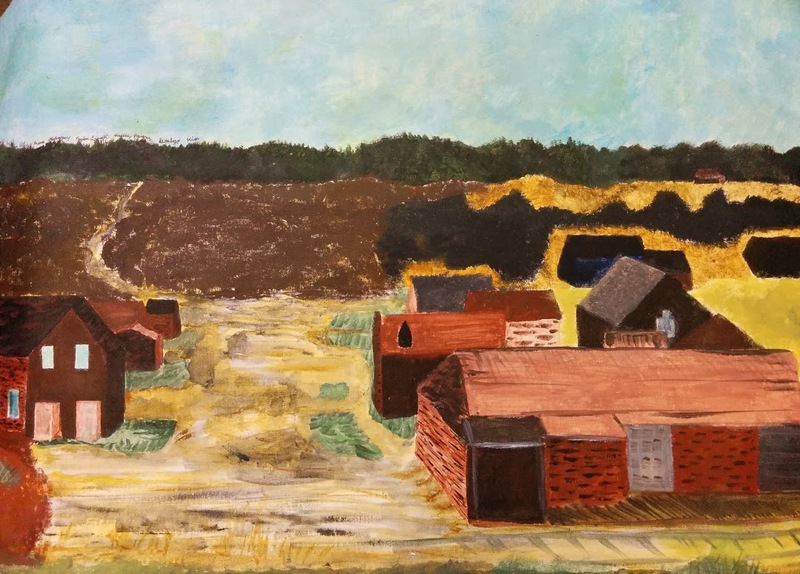 'The Barn' is an ongoing collection about local barns and buildings being developed by NGRHS students. 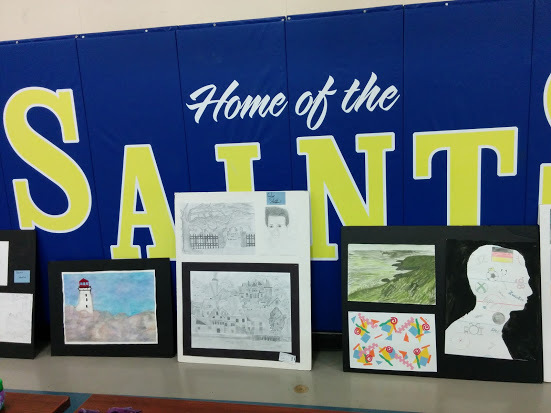 The HB Studio Fieldhouse and NGES mural art works can also be seen here. You can also see the Life Stream Trailer painted as a sheep, done by Art 9 in the spring of 2014. 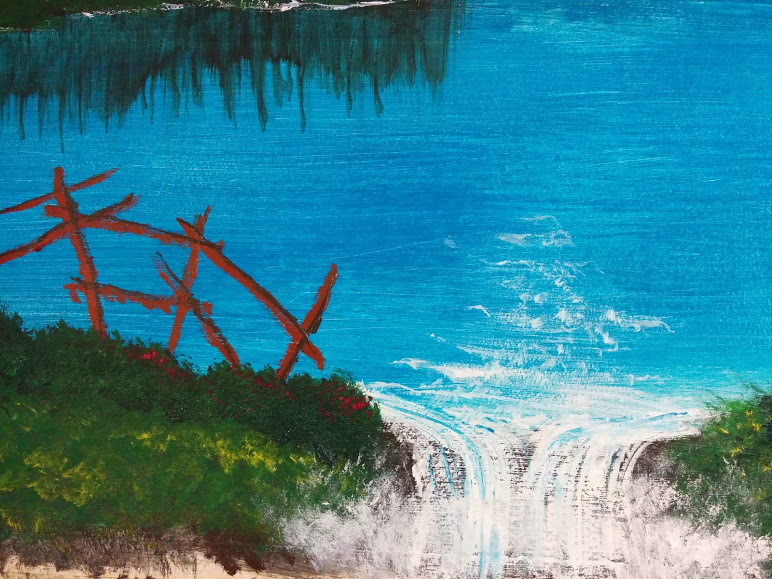 Check the ART GALLERY for art work done for special days and events, as well as for art class. TODAY IN THE ART ROOM This schedule shows the eight day cycle. You can check here to see if there were any art classes for days you may have missed. See you in the art studio! 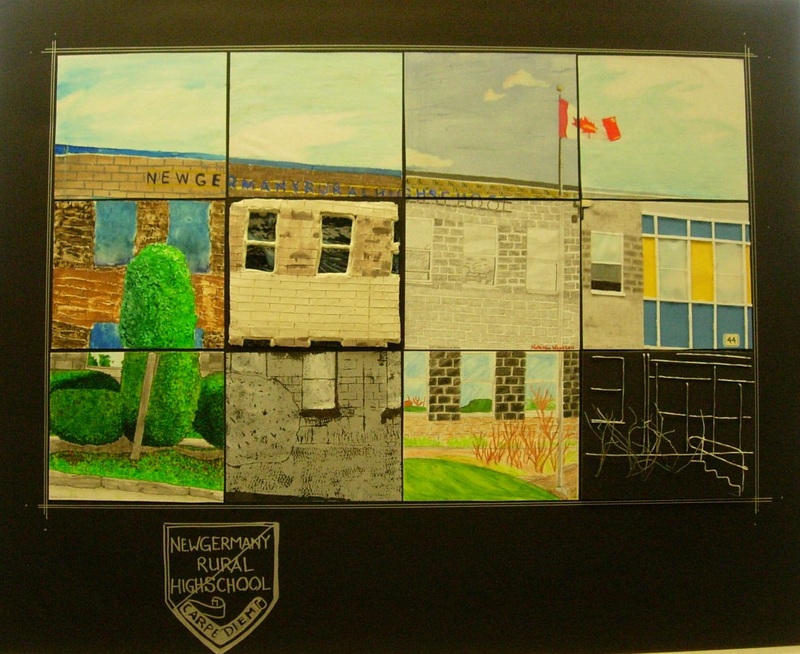 In June, 2009, ART 12 students created a mural of NGRHS, using twelve different media. All 2009 Graduates signed in silver on the border. The mural is fantastic! Look for it in the cafeteria. 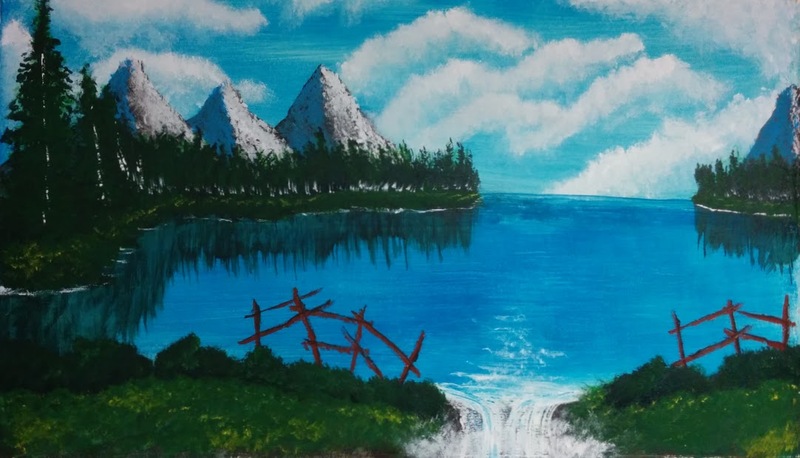 These paintings were done by Art 10 in the spring of 2016. 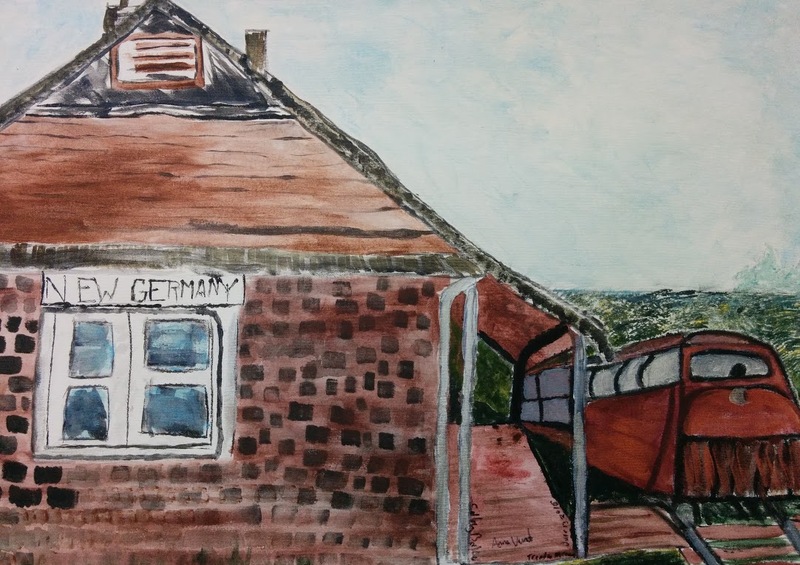 The scenes were from historical photographs of New Germany and the old train station that is the current home of New Germany Small Engine Repair. The owners donated the supplies for the small mural paintings, and the art works are on display at the shop. 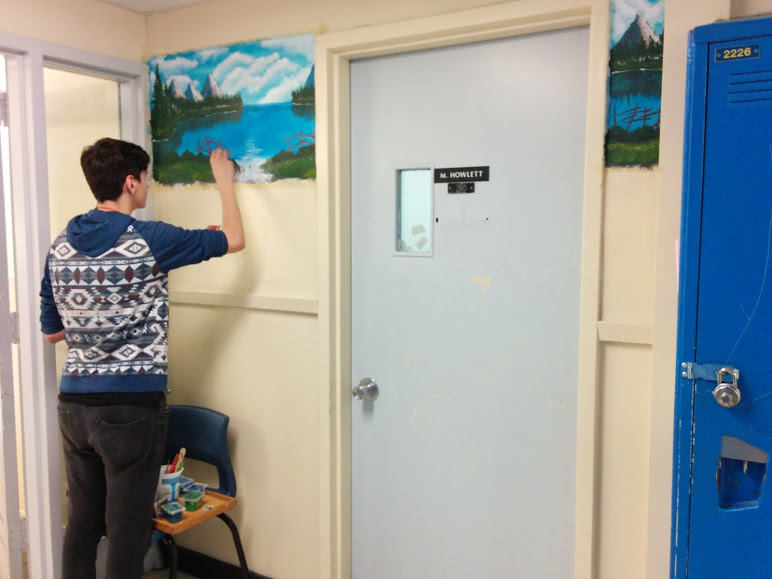 ART ROOM expansions! Students are starting to have their own websites! Great stuff! 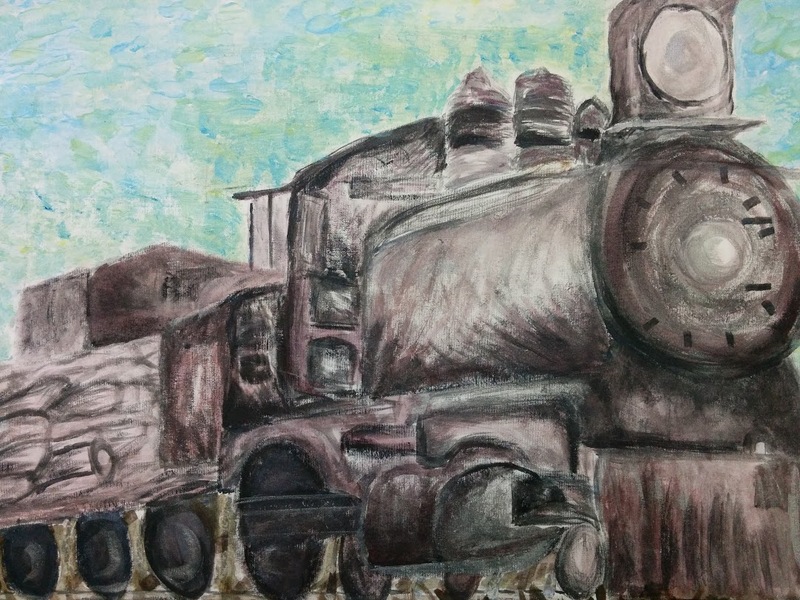 Here is one for LOGAN ACKER , an Art 11 student who earned an Art Award last year in Art 10. 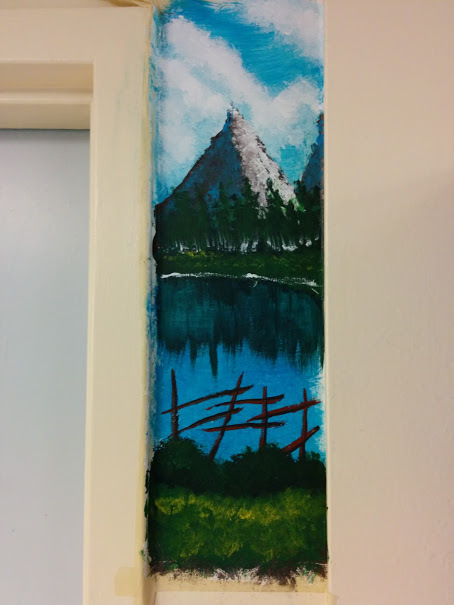 Mural that Logan painted outside Mr. Howlett's room. Click on ART GALLERY in the left column to see this year's art works, as well as many previous years' art works.